Plan a romantic vacation to Virginia&apos;s Blue Ridge, which was recently named a top destination for a Valentine&apos;s Day getaway by World Property Journal. The story, "Top 5 Valentine&apos;s Day Getaways in America Revealed" was written by Steve Winston, who was assisted by the team at Visit Virginia&apos;s Blue Ridge with content for the piece. 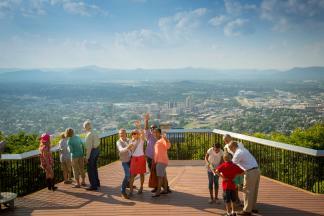 It encourages readers to check out Virginia&apos;s Blue Ridge Mountains and discover unique experiences like a hike to McAfee Knob, a visit to the Roanoke Star atop Mill Mountain, or an incredible dinner at The River & Rail. 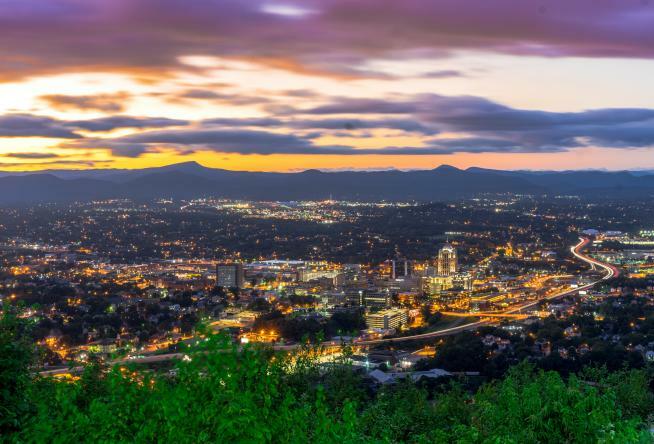 "From the beautifully-preserved historic buildings in downtown Roanoke - now filled with interesting restaurants and galleries - to the surrounding ethereal beauty of the Blue Ridge Mountains, this region is special on Valentine&apos;s Day. The views of city and mountains here are memorable, making for a beautiful V-Day to start with. And it only gets better." It&apos;s the second time romance in Virginia&apos;s Blue Ridge has been highlighted by World Property Journal, which also showcased Grandin Village in another Valentine&apos;s Day themed piece in 2014. Check out this article in its entirety on the World Property Journal website.